Shoes, shoes, shoes. They can make or break an outfit. They can protect (or injure) your knees. And, they are often taken for granted. 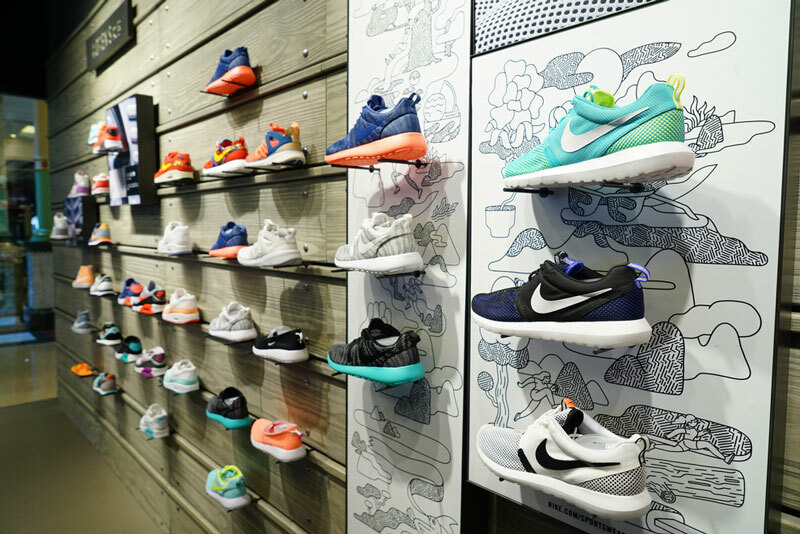 We want you to really make the most of this fantastic city by paying a visit to some of your favorite shoe shops — and perhaps stocking up on some shoes. These stores are located within walking distance of The Manhattan at Times Square! Selling: Fashion forward footwear for both men and women. Finish your outfit with something special. Selling: Athletic and casual footwear for all the family. The place to find those famous memory foam insoles. Selling: Up to date and trendy men and women’s shoes and boots. Selling: Specializing in running shoes for both, road and trail, with a host of brands. Get expert advice and protect those knees. Selling: All your favorite Nike products, for adults and kids. Casual and sporty shoes plus apparel & accessories. Selling: Primarily brand name products for a variety of sports, including basketball, running, and training. Selling: The Croc clogs and sandals that we know and love plus other styles, just as comfy, that you probably didn’t know. Selling: Every sports shoe (and sports apparel) that you can think of at the world's biggest Adidas store. After a full day of shopping and browsing for shoes why not stay in one of our stunning Broadway facing rooms? Here you can parade around the room in your new purchase(s) and imagine the red carpet beneath you. Take a look at more blog posts on the best shopping in New York.